Many businesses count brochures as a key piece in their marketing arsenal, along with their business cards, direct mail pieces like postcards, and of course their websites. One company that uses brochures to successfully convey the warmth and hospitality of their fly fishing lodge is Yellowstone Valley Lodge. Their brochure, a 9 x 16" closed gate fold, uses a folded, closed vertical orientation to achieve two things: ease of placement in standard sized brochure racks and a closed gatefold to maximize real estate of the printed piece. At first glance, the size is similiar to most "rack cards" or other tri-fold brochures, but once an interested customer grabs one, they begin to unfold not once, but two more times, revealing pertinent text and compelling photographs. Read the review of this effective Closed Gate Fold Brochure. The tri-fold used on this 11 x 25 brochure makes a big impression. Using the large 3 panel brochure format, the designer arranged multiple high quality pictures that are evenly spaced throughout the piece without over crowding the brochure. The three panel brochure makes a cost effective small catalog with three times the space to present your products and services than a standard 8 1/2 x 11 brochure. Chef de Paris put the space to good use to increase sales. Read the review of this effective 3 Panel Brochure. Don't neglect to consider cool and visually impressive die cuts for your next brochure because they are hard to design and more expensive to print. Think about the end result when your customers say "that's cool" while looking at the images of your products or services. That reaction can make the difference between a sale and not. Stand out from the competition like PureT Water Treatment Technologies did with this attention grabbing brochure design, and take your sales to the next level. Read the review of this cool Die Cut Brochure. Destination wedding photography company Timothy Faust Photography was able to use their magnificent photos to convey a message of quality, professionalism, emotion, and beauty. The finished product is a custom size of just 5 x 5", and only about 130 words were used on the whole brochure. Nevertheless, the impression conveyed is unmistakable and powerful. Read the analysis of this featured brochure design to learn about some special features such as the contrasting images, fold, and custom format. A good example of using brochure printing and custom design elements to market your business successfully. Read the analysis of this Custom Size Brochure. DePuy Spring Creek's brochure design appeals to the nature lover in all of us. Showcasing pictures of breathtaking scenery and epic fly fishing, the DePuy's brochure is sure to stand out in a display rack. Using colors seen in nature immediately puts you at ease as you open the brochure and plan your next fishing adventure. Read the design analysis of this featured brochure design to learn about other design features such as expert photography, adjustment of hue, and paper finish. Another fine example of using brochure printing and design techniques to successfully market your business. Read the Brochure Design Analysis. 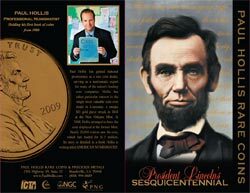 For the first release in our "Featured Brochure" series, our design experts have chosen to focus on this Lincoln inaugural anniversary brochure due to its effective use of cool design elements and incredible printing effects that took 9 press runs to produce. Check out the useful information and ideas for brochure designers regarding use of metallic ink, clear foil vs. spot varnish, metallic foil stamping, Pantone colors and many special design features. This brochure is truly a work of art. Read the analysis of this Cool Custom Brochure Design.